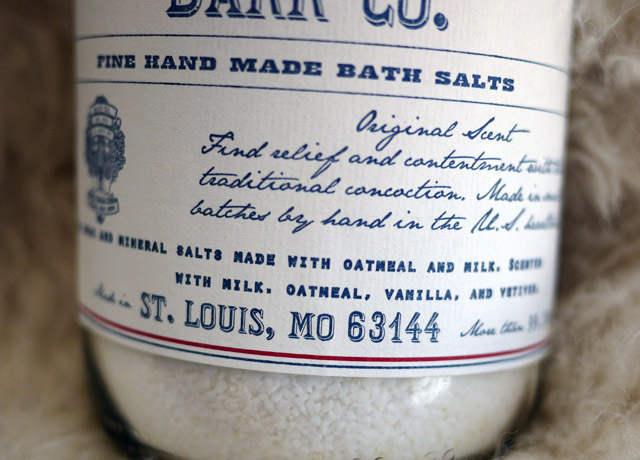 One of my favorite birthday presents this year were these delicately scented bath salts from Anthropologie. I love, love, love bath oils, bath salts, candles and pretty much anything that has to do with relaxation and self-care, and I was so touched to see my husband's careful attention to eco-friendliness in his gift-giving this year! 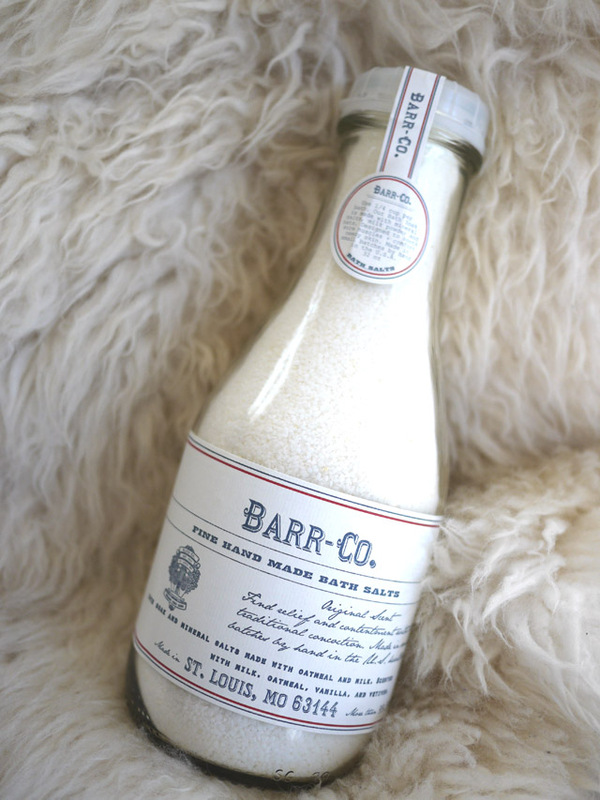 Made in the Saint Louis, MO, by Barr-co, the ingredient list really says it all: made with oatmeal and milk, scented with milk, oatmeal, vanilla and vetiver.